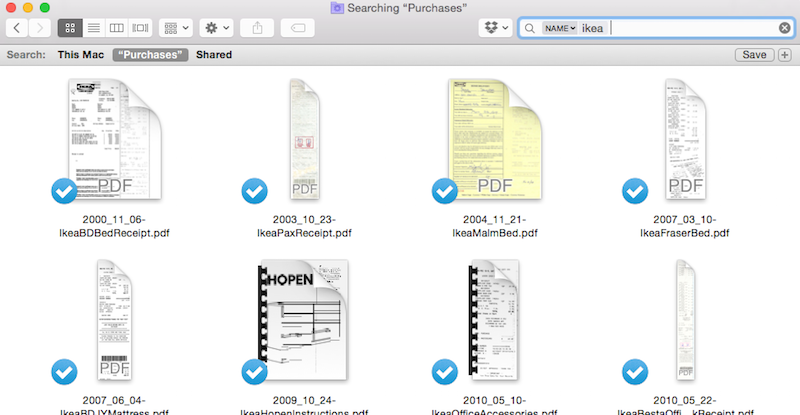 There are different ways to search for files on the Mac. Usually I am searching my entire computer for a document, and for that I use Spotlight. 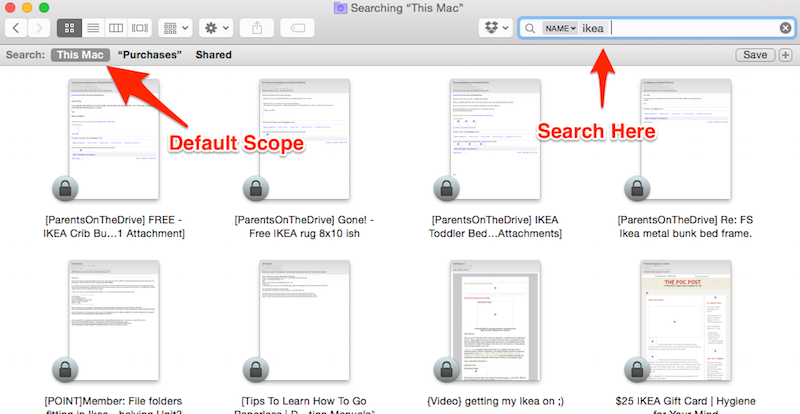 Occasionally I am in a Finder window and want to filter the displayed files, and for that I use the Search box in the top-right corner of the window. One annoying thing about this is it would always search my entire Mac, and then I’d have to click on the folder name to just limit the search to the current folder. I recently noticed that there is a setting that controls this behavior, and you can make the default search limited to the current folder. Here’s how to do it. 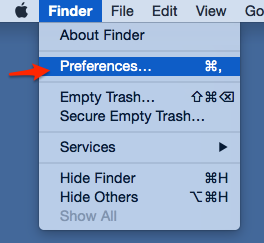 First, go to Finder and then Preferences up in the menu bar. Next, click on the Advanced tab. You’ll see a setting titled When performing a search:. Change that to Search the Current Folder. Boom. Now when you do a search, by default it will only search the current folder. I was looking under the Advanced tab on SYSTEM PREFERENCES and not FINDER preferences. LOL… whoopsy! Thanks!! Brooks, my “Preferences” doesn’t offer that option under “Advanced” – I am using Mavericks though, so is this only on Yosemite? Hmm, strange. I just checked my wife’s computer which is on Mavericks and it is there. 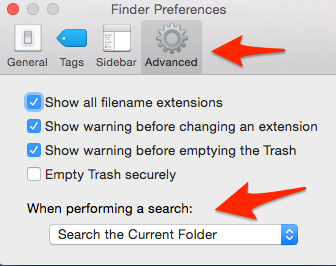 So you’re in Finder, and go to Finder > Preferences, hit the Advanced tab, and the option isn’t there for you?